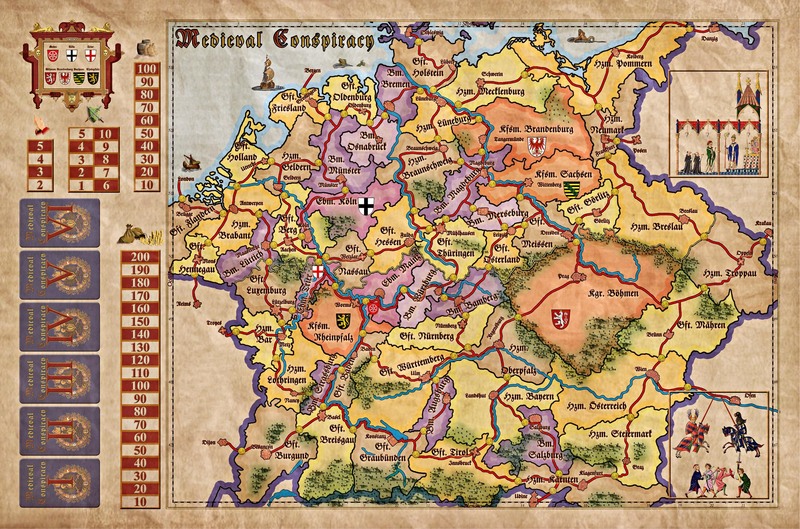 Medieval Conspiracy introduces players to the Holy Roman Empire of Germany. That Empire is divided into numberless small earldoms, principalities, and bishoprics. The Ruler of the Empire is the Holy Roman Emperor who is elected by the 7 electoral princes. 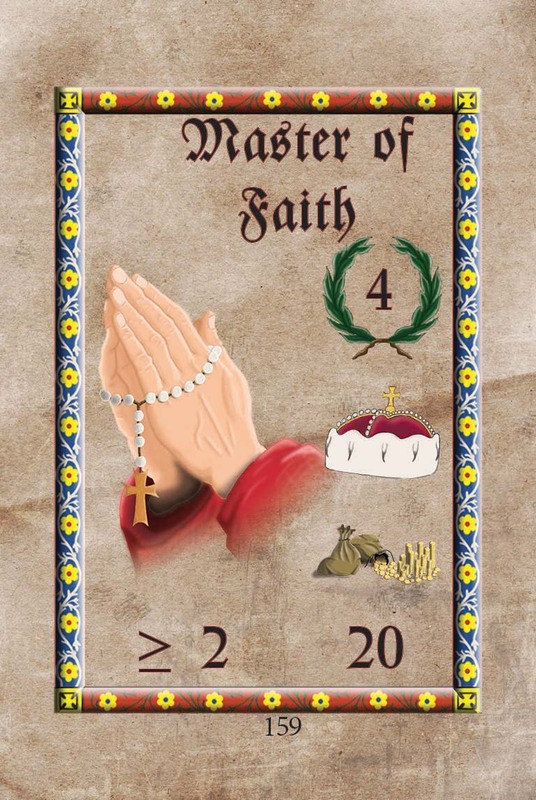 In Medieval Conspiracy you take the role of a mighty noble family. Increase your power, gain new countries, get votes of the electoral princes to finally be elected the new Holy Roman Emperor. The map uses original German Names to give the game a greater historical flair. Functions on the map you need for game play are handled with symbols. So the map is easy to use for people who do not prefer to use English. 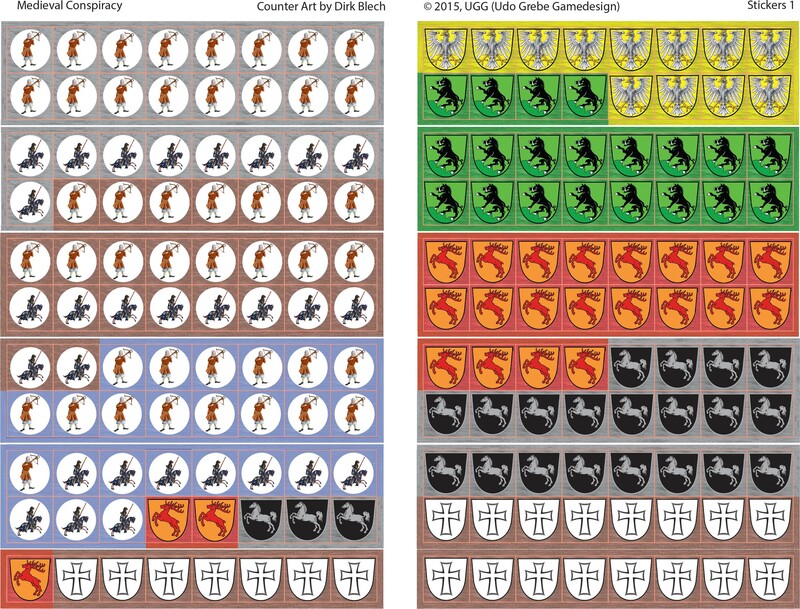 The symbols are be explained in the rules book. 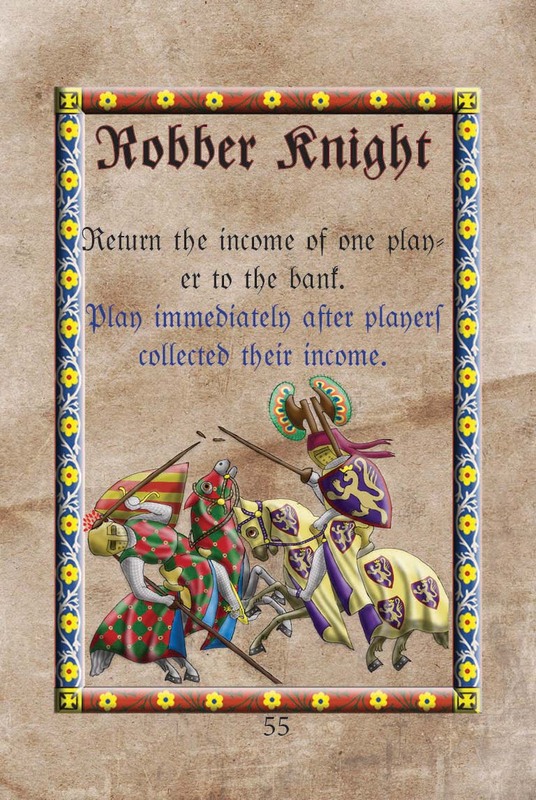 Medieval conspiracy is run by Action cards and Event cards. After collecting income players bid for Event cards. 3 Eventcards are displayed on their open side. Thereafter players bid for them in turn order. 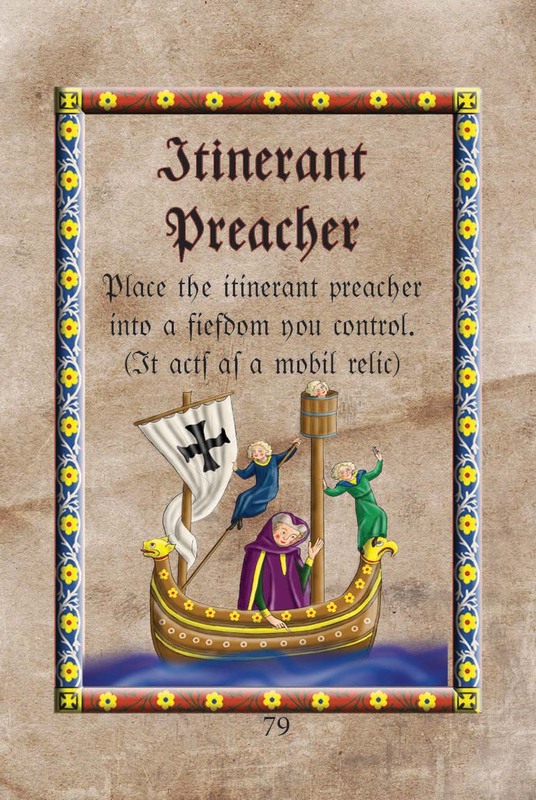 The player who got an Event card can use it later during his turn. 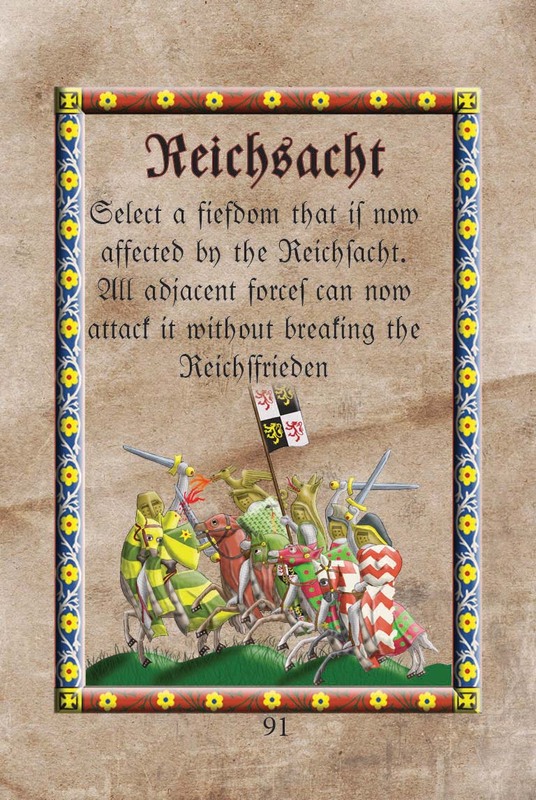 As can be seen in the example cards above the game often uses German names of that time to keep the original flavor. But all German terms are translated into English and explained in English. 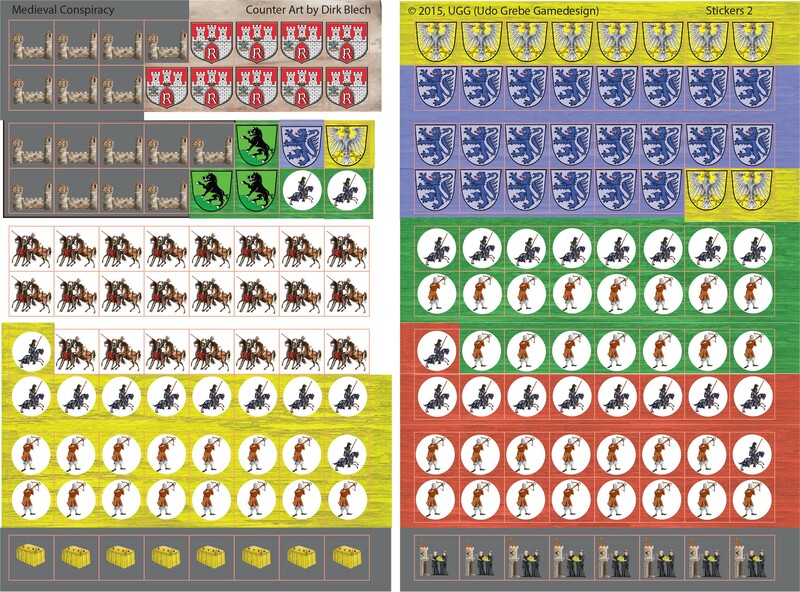 The Mastercards are an important mechanic to control the Elector's votes. The card GFT. 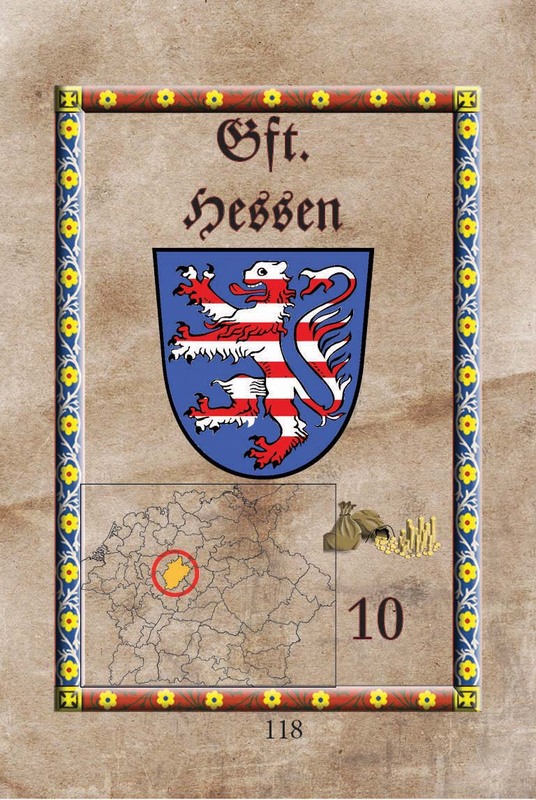 Hessen shows a card for a typical fiefdom. 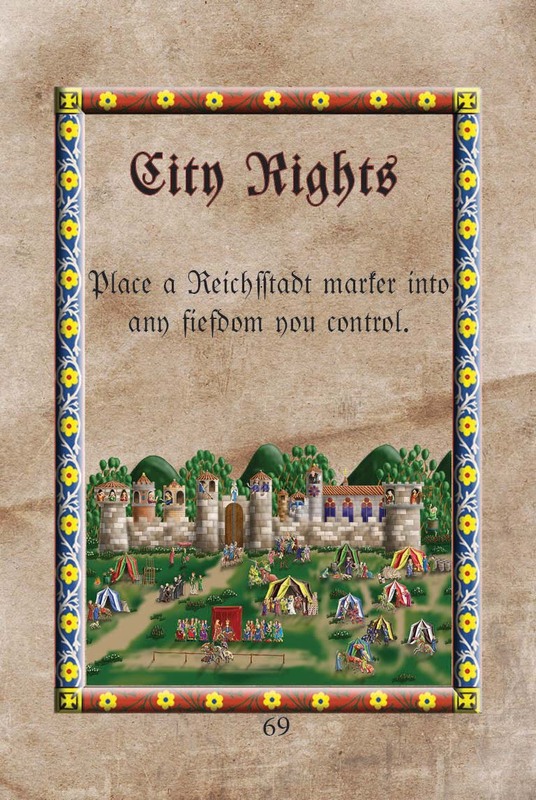 With the mini map inside the card it is very easy to find a fiefdom on the game map. During a player turn players roll the dice of destiny and play event and action cards. That cardplay results in numerous effects giving each game a new special course. Players gain new countries or conquer them by force from others. Are you up to be the new Holy Roman Emperor?